I didn't know what to call this other than "Fun Flower." I don't know if it's a particular kind or some brand logo or what. 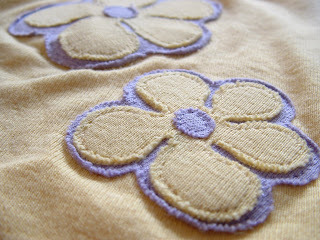 All I know is appeared on a shirt from Goodwill that I refashioned to make this a while back. Anyway, scanned the flower on the shirt onto my computer by using my scanner, similar to this method. I've added the printable at the bottom of this post. First, you'll need to trace the design onto the papery side of some Heat'n Bond Lite or similar product. 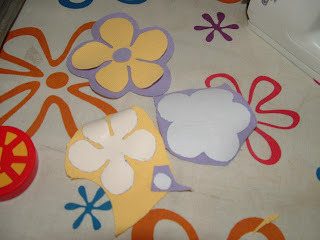 Then leave the paper on the biggest part of the flower and assemble it. I would should have sewn the yellow flower onto the purple background before moving on...but I forgot. It will turn out well either way. 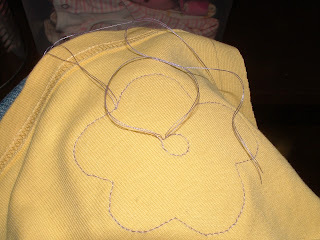 ...so I can pull them through to the back to secure them instead of tying extra knots. And you're done! 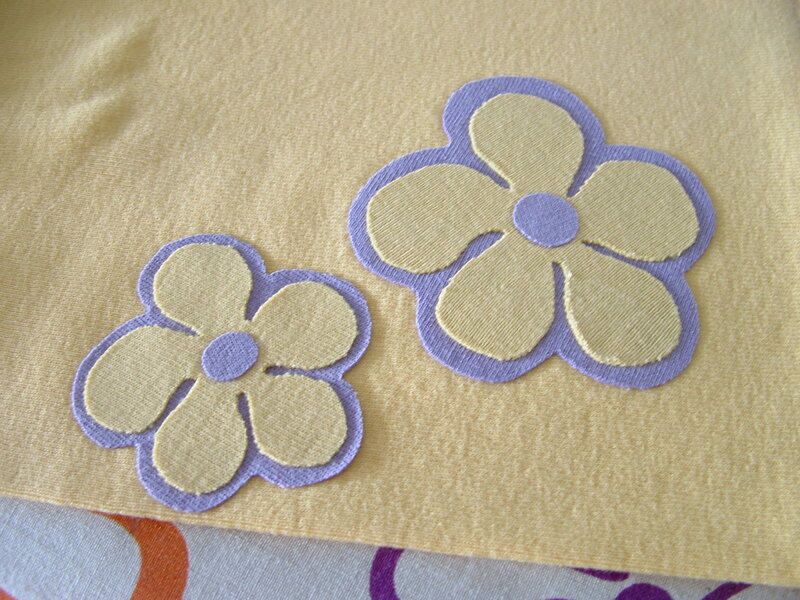 This is what your appliques will look like after they've been washed and worn a couple times if you use knits. 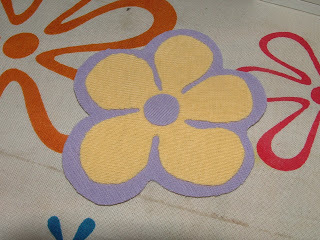 Click here to download or print the Printable Fun Flower Applique Pattern. Those remind me of the psychedelic hippy flowers that were popular in the 60s. 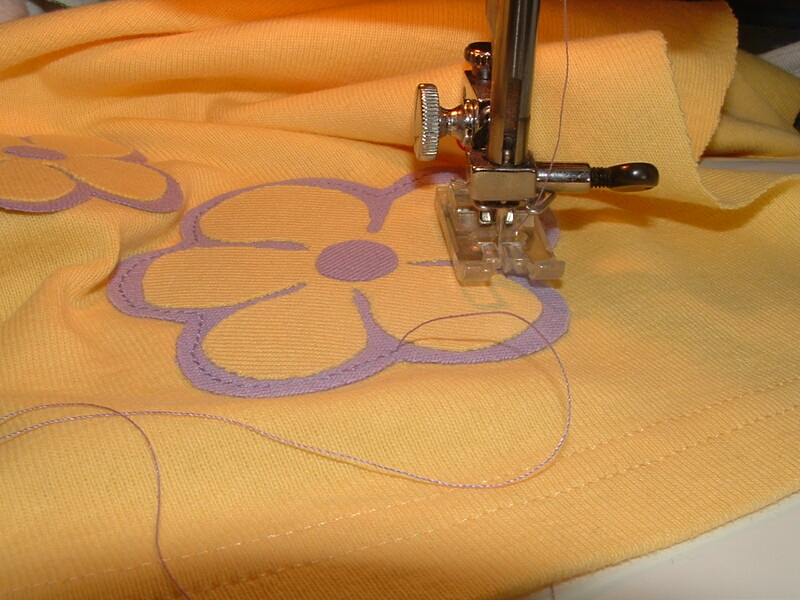 You really have a way with the applique! Thanks for all the great tutes and patterns! Love the flowers... so fun loving! This looks really cute! 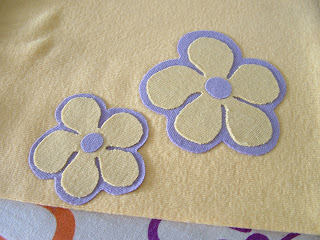 I'll have to try using knits for applique. I love the look of the slightly curled edges!